A Nigerian lawmaker who represents Delta North federal constituency at the National Assembly, Abuja, has been arraigned in a High Court for conspiracy and money laundering. 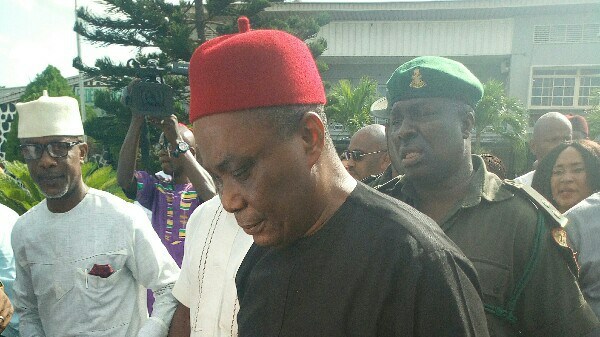 The criminal trial of Peter Nwaoboshi, a Peoples’ Democratic Party senator, began Wednesday at the Lagos Division of the Federal High Court with the prosecution presenting two witnesses, PREMIUM Times reports. Mr Nwaoboshi (PDP, Delta North) is facing a two-count charge of conspiracy and money laundering instituted by the Economic and Financial Crimes Commission (EFCC). The senator, who was detained for days by the EFCC, is currently out on bail after Mohammed Idris, the trial judge, released him on self-recognisance. The lawmaker was charged with two counts alongside two firms - Golden Touch Construction Project Limited and Suiming Electricals Limited. Count one of the charge accused the senator and Golden Touch Construction Project Ltd of fraudulently acquiring a property known as Guinea House situated at Marine Road, Apapa in Lagos, between May and June 2014, at a cost N805 million. Count two of the charge accused Suiming Electricals of aiding Mr Nwaoboshi and Golden Touch Construction Projects Ltd to commit money laundering. Prince Kpokpogiri, the prosecution’s first witness, said he wrote a petition to the EFCC after he received an anonymous call and some documents at his office in Asaba, Delta State. Anthony Idigbe, a Senior Advocate of Nigeria, accused the witness of being an agent of the EFCC. While giving his evidence, Murtala Abubakar, the prosecution’s second witness, said Suiming Electricals Limited, the third defendant, applied for a loan at the Nigerian Export Import Bank in December 2013, and it was approved in April 2014. Mr Abubakar, the head of Enterprise Risk Management unit at the bank, said Mr Nwaoboshi was a former board member of the bank. He also said that while the meeting to take a decision on the loan request was being held, Mr Nwaoboshi indicated his interest in the transaction and was recused from the deliberation. The senator is a director at Bildeberg, a holding company which has the majority shareholding in Suiming Electricals Nigeria Limited. Mr Abubakar said the EFCC made five requests to the bank on Suiming Electricals, starting from June 2017, in respect of the loan transaction granted to the company. He further stated that the company met all the bank’s conditions before the loan was disbursed. 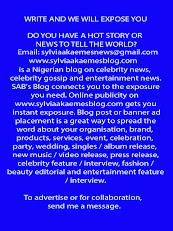 The witness said although the third defendant had repaid over N1 billion of the loan, it is still a non-performing one. The EFCC requested for an adjournment to enable it assemble its remaining four witnesses and the judge fixed July 2nd and 3rd for continuation of trial.